East Kilbride’s favourite son returned to the town on Thursday in the name of charity. Scottish football star, Ally McCoist, presented eight-year-old Thomas Pettigrew, who has Asperger’s Syndrome, with a new trike on behalf of East Kilbride Community Trust. Thomas, from Calderwood, cannot walk and the £850 trike allows the St Hilary’s pupil to exercise and have fun like other children his age. The aim of the Trust is to bring the East Kilbride community together and to keep children off the streets by providing them with activities and places to go, including the current development at Calderglen Country Park, which will be open to kids with additional support needs, such as Thomas. 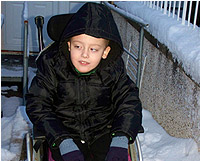 Monique met Thomas’ mother, Catherine Pettigrew, last year and heard how he had outgrown his trike, but that there was no funding for a new one. Monique was sure the East Kilbride Community Trust could help. 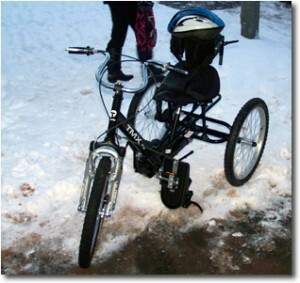 The board unanimously agreed and organised the delivery of a new trike. Kayleigh McLeod, East Kilbride Mail.